Perhaps the most surprised person in the room at the announcement of the new Miss Texas Teen USA was the winner herself, Kennedy Edwards. But to all observers, her poise and confidence, her elegance in evening gown, and her articulacy in interview made her a formidable contender. It was just the second time that she had participated in a pageant, the first being when she was named Miss Houston Teen a few months earlier. However, what Kennedy lacked in experience, she made up for in self-discipline, determination, and preparation. Excellence in education is of utmost importance to Kennedy. One of the people that she can thank for her success in academics is the seventh-grade teacher who introduced her to debate and encouraged her as a “great one.” Kennedy became the High School Debate President, earned awards in public speaking, excelled academically, and graduated third in her class of 514. Based on her academic merit, Kennedy was awarded a Capstone Scholarship by Howard University, where she is a freshman majoring in Political Science. She intends to go to law school and become a civil rights attorney. Having just reached voting age this year, Kennedy wants to educate young people about voter registration, encouraging them to register and to exercise their right to vote. She already has her eye on the next election and aspires to earn an internship with a 2020 political campaign. On the lighter side, as a Varsity Cheerleader, Kennedy placed second at NCA High School Nationals. For recreation, she tours the nation’s capital, keeps up on current events, dabbles in makeup, goes “marathon shopping”, and attends live concerts. 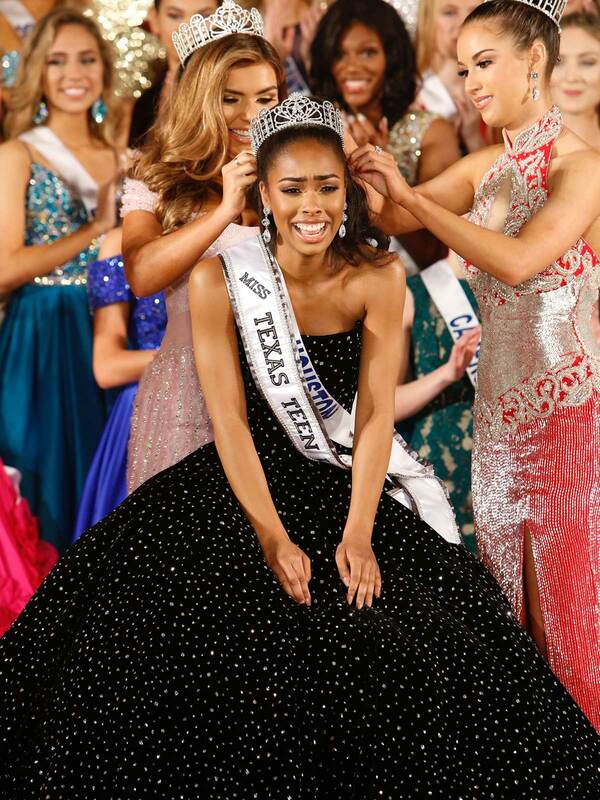 A part of what motivated Kennedy to strive to become Miss Texas Teen USA was the desire to be the first African American young woman to win that title. Having accomplished that goal, her eye is on the next step, competing for and winning the Miss Teen USA crown.